I really love the HPI. Whenever I visit the HPI, I feel this vibrant atmosphere to exchange ideas and learn from each other. My positive experience also comes from conceptualizing and coaching design thinking workshops with coaches from the HPI – and I mostly enjoy their drive to improve design thinking. So I am very happy that I also play a regular role at the HPI as a Guest Lecturer HPI Executive Trainings – of course about psychology! 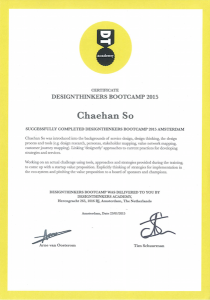 I got my certification from the renowned Design Thinkers Academy in the Netherlands. Although I don’t believe as much in certification as others, I think it was great week of intensive training and discussions there. After all, it was good to get an official training. My personal summary is that the approach and mindset is very similar between the designthinkers academy and the HPI. Teamwork has fascinated me enough to stop my 8-year consulting career in 2007 to do a Ph.D. in psychology at Humboldt University Berlin. I explored motivation and learning processes in high performance teams in many different companies. Here’s my research site. After my Ph.D., I taught general psychology (based on Philip Zimbardo) at private universities for 4 semesters. My favorite topics included cognitive biases, social judgment, metacognition, learning. I love to translate scientific psychology into an understandable format for interested people (see Talks). I aim for a contrast of pseudo psychological methods like NLP and explain these methods can be dangerous or just plain wrong – from a scientific psychological standpoint. I have travelled to wine regions for over ten years now. Contacting good wine makers, visiting them, getting a personal tour through their wine production process, and finally the discussion during the wine tasting – this is my absolute highlight. I was fortunate enough to do such personal tours in Piemont (Northern Italy), Priorat (south of Barcelona), Mendoza (Argentina) and Rhone Valley (South of France). I am also a Foodie by heart, please have a look at my food blog. 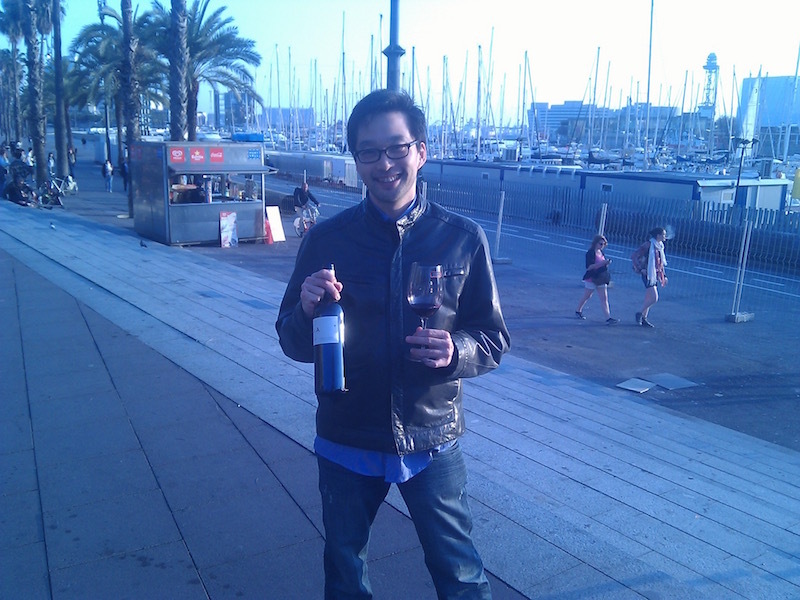 Here you see me in Barcelona after discovering one of my favorite Spanish wines – THAT was an insight!